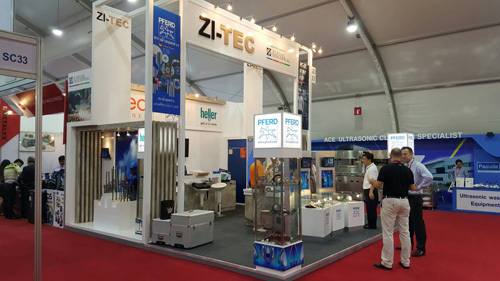 Zuellig Industrial’s business unit ZI-TEC and ZI-Argus have participated in the 2015 Metalex Exhibition in Bangkok, ASEAN’s largest metal working and machines tools exhibition. Under the concept “German Heritage” ZI-TEC has presented premium quality products including surface finishing tools from Pferd, drilling tools from Heller and construction measuring equipment from Geo-Fennel. A robot from Universal Robots shown by our business unit ZI-Argus has gained a lot of interest from visitors. The large number of visitors and professional customers at the booth has proven that Zuellig Industrial is one of the leading suppliers for industrial tools and related equipment in Southeast Asia.